Castle Morgan, also known as Cahaba Federal Prison, was a prisoner-of-war camp in Cahaba, Dallas County, used to house Union prisoners during the Civil War. 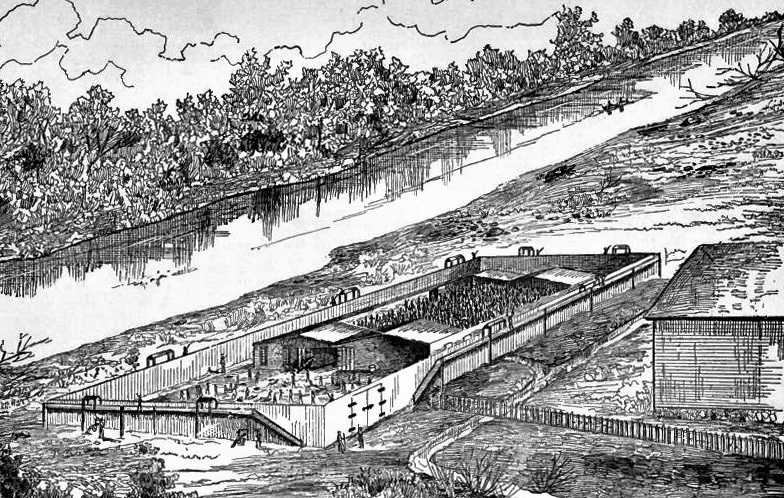 The prison, originally built as a warehouse on the Alabama River, operated from 1862 or 1863 until the war's end. The structure no longer stands, but its location is preserved in Old Cahawba Archaeological Park.